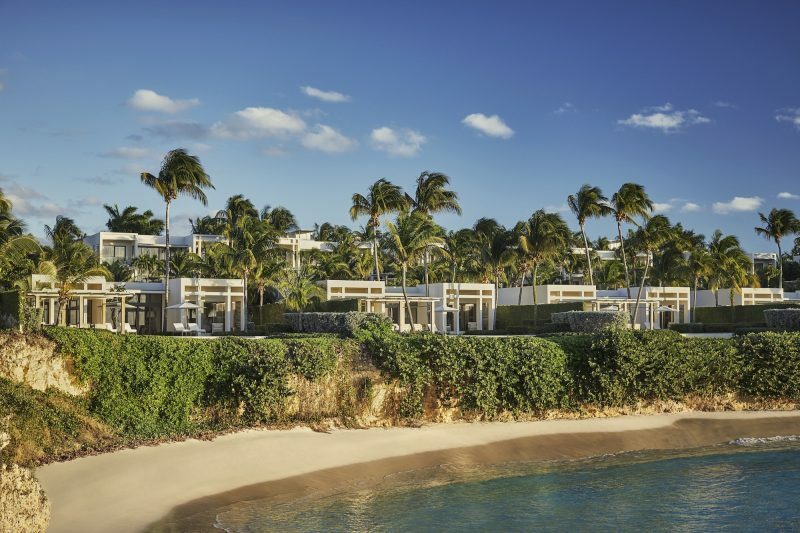 Turquoise waters, white sand beaches are just part of the allure at the idyllic Four Seasons Resort and Private Residences Anguilla. 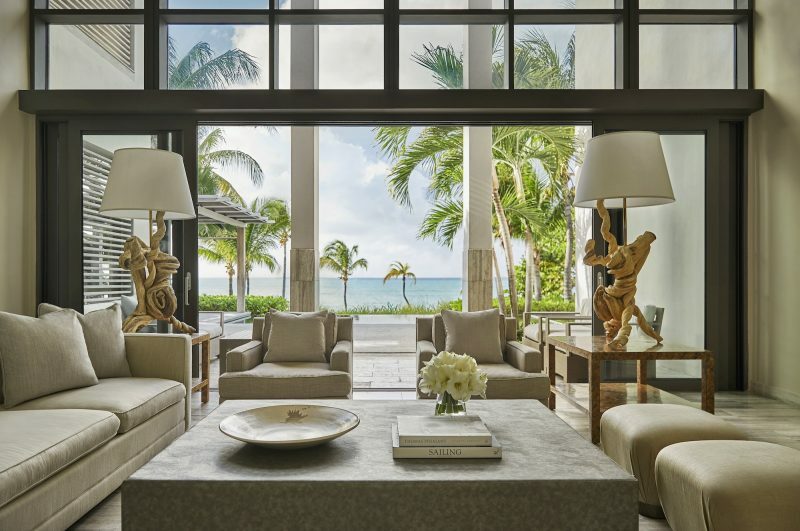 Owners belong to the exciting Four Seasons family worldwide, live in boldly beautiful Kelly Wearstler-designed environments, and feel at home in a friendly island community unique in the Caribbean. 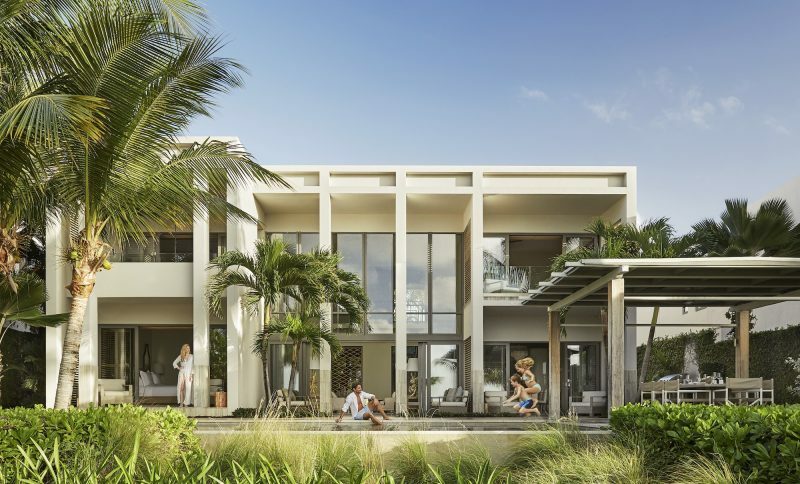 The community is composed of glamorous Caribbean-inspired homes ranging from one-bedroom deluxe studios to five-bedroom beachfront villas, all with unobstructed views of the ocean or direct access to beach and water. Residents enjoy access to all resort amenities such as bars, outdoor lounges and restaurants, spa, pool and watersport activities. On the market now is the luxury resort’s beachfront villa 4. 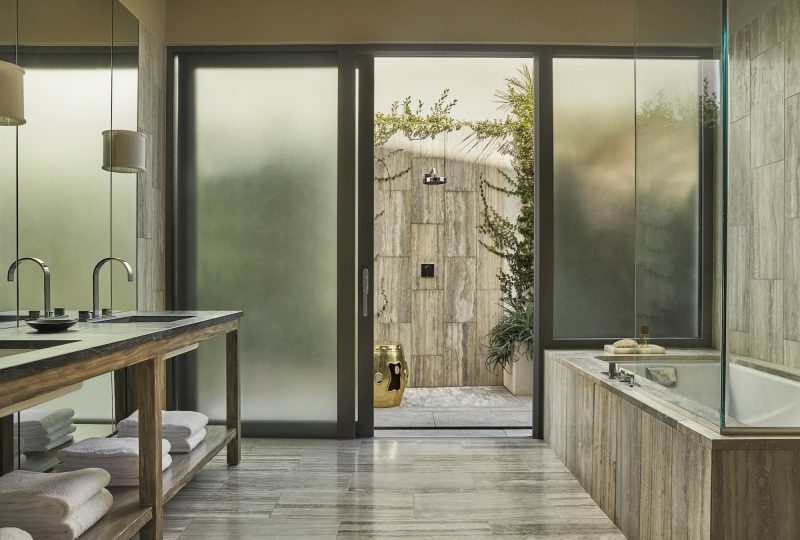 Offered at $10 million, the home is situated on two levels and features a total of five bedrooms, five bathrooms and a total of 9,500 square feet. 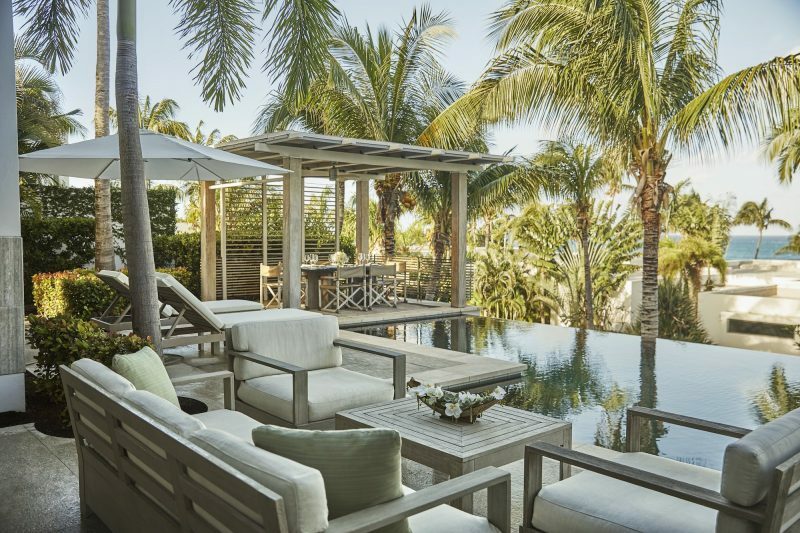 A few outstanding features include private beach access, custom-designed Kelly Wearstler furnishings, and accessories, an infinity pool, as well as an outdoor shower and oceanfront terrace with views overlooking the secluded Barnes Bay Beach. 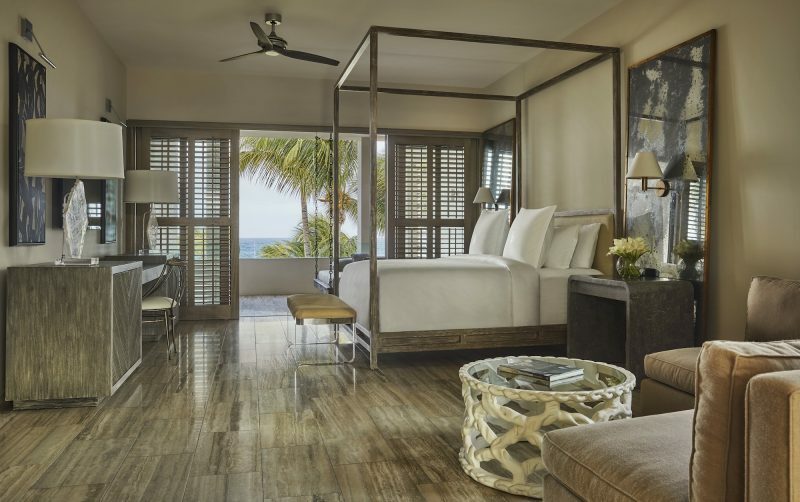 Encircled by sugar-sand beaches and clear turquoise sea, the Four Seasons Residences are located along the northwestern shore offering 3,200 feet of pristine beachfront and sweeping views of the breaking surf.